Study after study shows that as homes become tighter and more energy efficient, more contaminants become trapped inside. The air we breathe in our homes is loaded with pollutants like pollen, lung damaging dust, pet hair, dander, dust mites, tobacco smoke, spores, disease-causing bacteria and viruses. Considering the typical throwaway furnace filter only traps about 5 - 15% of these polluting particles and that the slightest traces of pollutants can trigger miserable reactions for allergy sufferers, you need serious help. 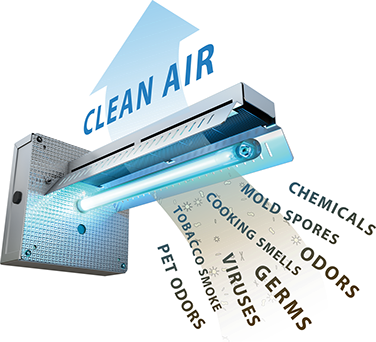 In today’s world, a whole-house, high efficiency air cleaner is the best system to get the job done. Clifton Heating & Cooling believes that having a comfortable environment in your home is more than just about the temperature. That is why we are proud to offer multiple air cleaning solutions to make sure you can breathe a little easier this year. Call one of our Comfort Specialists today to find out more about how we can help, and how it may be more affordable than you think.